Cords are coming back, and not just in pants. The Tribute Laptop Duffel is a tribute to the most casual and comfortable style the 60s ever produced - corduroy. 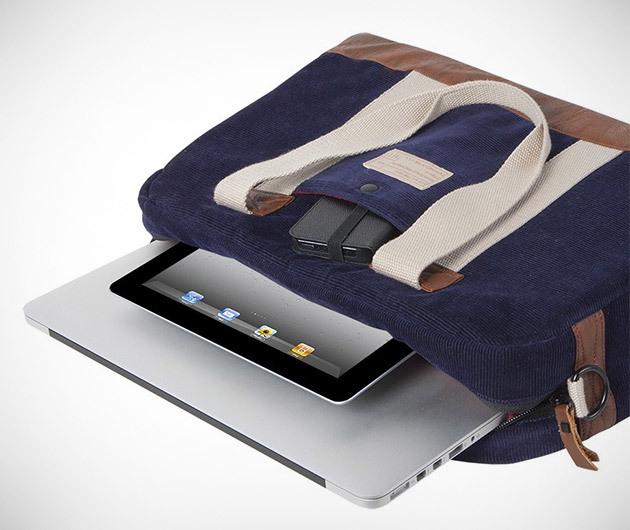 It's a traditional corduroy bag in navy blue with the modern addition of a storage space for your 15" MacBook Pro. It's modern style with a vintage look.